We fundraise to add to the basic training course to give the cadets a bit extra fun to their training. We also supplement their meals at Saskadet so they are not eating MREs all weekend long. How much do we need to Fundraise? 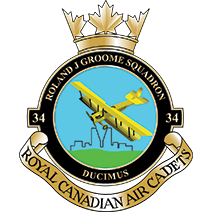 In our squadron, we need to fundraise approximately $20K to pay for all the extras we provide for the cadets and officers in a cadet year. We offer many different options throughout the cadet year (September to May) to try to engage all people’s interest. We are looking for more options that may entice the different interests of cadets and families. We do collect donations or corporate sponsorships to assist in our funding. A tax receipt is available upon request.